Tomorrow is the first day of May, so how about a May basket from a lunch bag? Cut down two sides as show. Open. Staple the center strip to make a handle. 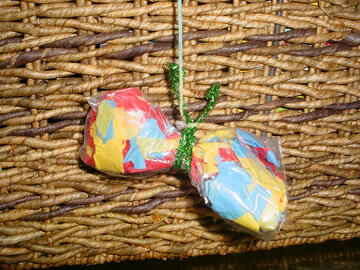 *Use the baskets for a popcorn party or for other treats. *Use the baskets to collect specimens on a nature walk. *Send home with a letter, shape, numeral, etc. on the side. Children fill and return the next day. *Hide magnetic letters or numerals around the room and let the children collect them in their baskets. *Put flash cards in the baskets and take them home to practice over the summer. Here are a few more ideas for a class program. When school started we had a very hungry class eager to learn. 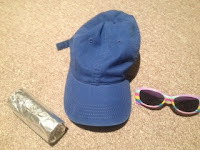 Invite parents to wear sports clothes and join in as the children lead different exercises and movement songs. 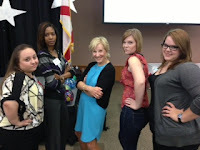 the College of Central Florida. Here's our "attitude" shot! WHERE ARE ALL THE BABY DOLLS? Warning! I’m preaching today so delete if you don’t want to hear me! I am struck once again with the thought of how quickly children grow up. 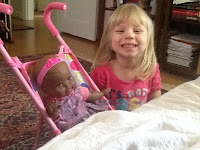 Life is so simple when they are three and are happy with a $15 baby doll. Before we know it, she’ll be eight like her brother and probably want expensive electronic games or dolls that wear clothes more expensive than mine. Last year when I was volunteering at a local school I asked a little girl what her doll’s name was. The doll didn’t have a name!!! In my day, we HAD to name our babies because you couldn’t take them home “from the hospital” without a name. The world is moving so fast, but little children still NEED to be little children. They need time to play and pretend and use their imaginations. And we NEED to take time to listen to them and encourage them to do simple things like name their babies. Which brings me to another thought. Where have all the baby dolls in kindergarten gone? Seriously! Ten years ago there was a law (or there should have been a law!) that every kindergarten had a dramatic play center and a block center. Some of you have fought the battle with administrators and lost because “they can play at home.” The truth is that children don’t “play” at home. They watch television or do video games. If you read the research, over and over again you will see the importance of AUTHENTIC PLAY. Play that develops oral language, problem solving, self-confidence, social skills, motor skills…the WHOLE child! Breaks my heart! Breaks my heart! How will they ever learn to be good mommies and daddies if they don’t practice on baby dolls? I don’t know what President Obama is going to include in the new early childhood plan, but I sure hope baby dolls and blocks are a part of it!!!! 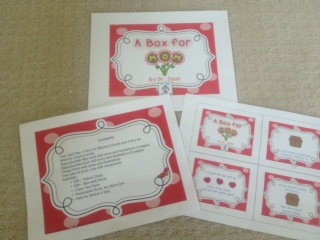 Mother's Day isn't until May 12th, but here are a few projects to integrate into your lesson plans the next two weeks. 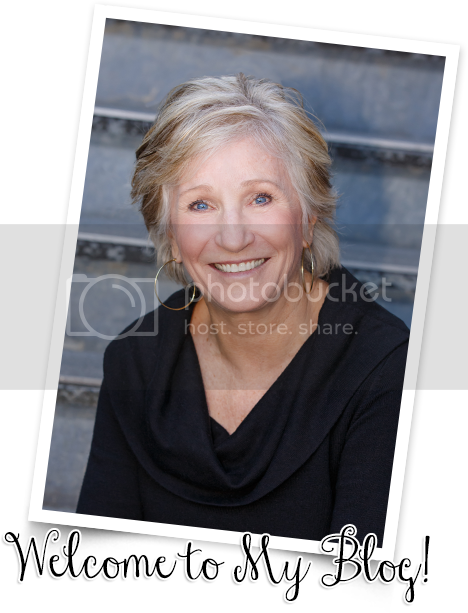 *You can download the book on my May, 2007, website. 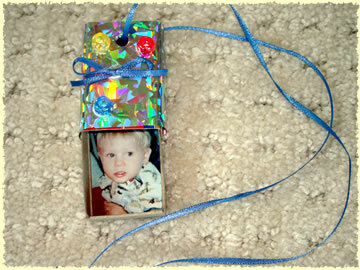 Box Necklace – You can collect small boxes that jewelry come in or use matchboxes for this project. 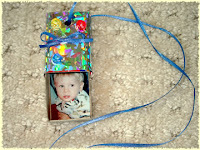 Spray paint the boxes and then let the children decorate them with stickers, glitter pens, etc. Glue a small picture of the child inside the box. Punch a hole and attach a ribbon so it can be worn around the next. Teach children the song and let them present their necklaces at a Mother’s Day tea, or send the boxes home with the words to the song. 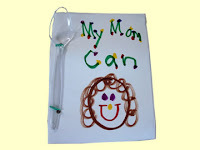 My Mom Can – Let each child make a predictable book about all the things their mom can do. 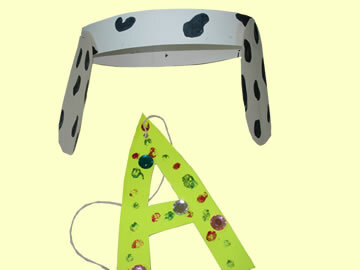 Hats for Moms – These are adorable hats from paper plates that children can make for their mothers. Cut the inner section out of the plate. Decorate the outer rim with markers. 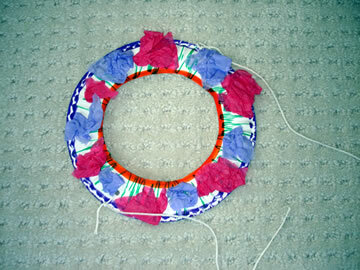 Cut 4” squares out of tissue paper and wad up and glue on the rim to look like flowers. Punch a hole in each side and tie on a 16” piece of string or ribbon. Place the hat on your head and tie under the chin. This is a project that will take a little effort, but it is something that children will remember forever. 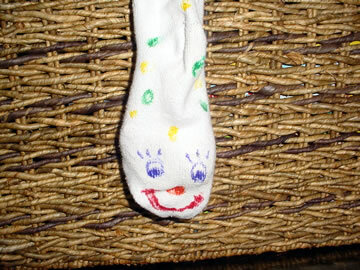 Ask children to bring an old sock from home for this puppet. First, let them decorate the outside of the sock to look like a caterpillar. They can use markers, pompoms, etc. Next, prepare a butterfly using a coffee filter. Children fold the coffee filter into eighths. Using an eye drop, have them drop colored water onto the coffee filter. Open and dry. Scrunch up in the middle and fasten on a pipe cleaner for the body and antenna. 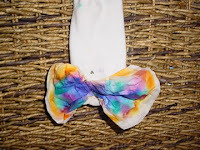 Turn the sock inside out and pin the butterfly inside. 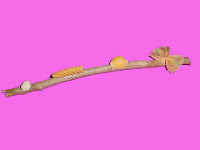 Children can begin the song about the butterfly by inserting their hand into the sock. 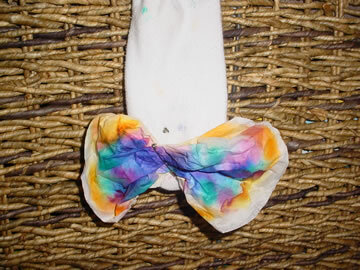 For the “chrysalis,” have them begin turning the sock inside out. 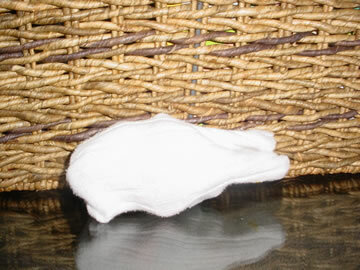 As the butterfly emerges, they stick their hand in the sock to reveal the butterfly. Is there anything more fascinating than the life cycle of the butterfly? Some of you will read Eric Carle’s book and some of you will actually hatch butterflies in your classroom. Here are a few activities that will add to children’s natural enthusiasm and curiosity. To the top of a tree. (Crawl left pointer up right arm. He slept in that cocoon bed. Oh, my! I have too many ideas for today. Come back tomorrow for more!!! How children perceive themselves sets a blueprint for their life. Early childhood educators have always known that accepting children for who they are and what they are is the first step in creating a positive sense of self. *Pass a hand mirror around the classroom and ask each child to say one thing they like about themselves. *I CAN DO SOMETHING SPECIAL DAY! 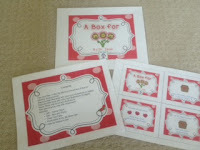 Plan a special day where each child is invited to sing, dance, tell a joke, make something, share a hobby, etc. Emphasize that there are many ways to be wonderful!! about your child in our PROUD PARENT BOOK. 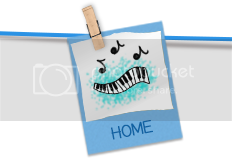 Please put a picture of your child at the top of the page. that make your child special. Have children share what their parents have written about them the next day in class. My Good Book - Punch holes in 10- 15 sheets of paper and insert them in a clasp folder to make a book for each child. Let children decorate the front cover with a self-portrait. Write “My Good Book” on the front and send home a note similar to the one below to parents. I was looking through my files for an art project and look what I found!! Art is taking a back seat to academics these days, but here are some simple, easy projects with crayons. Children could do these at a center, as a large group project, or independently if they finish their work early. No muss and no fuss! Directions: Hold a crayon in each hand. Put on some music, and let the crayons “dance” on the paper. 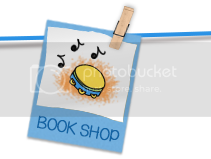 *This would work well at the listening center using a variety of music, such as classical, country, march, lullabye, etc. Directions: Wrap a rubber band around 3 or 4 crayons. 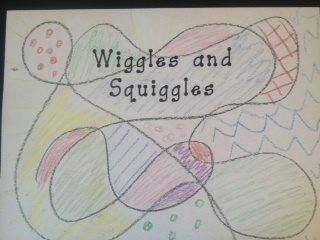 Children can hold the “bundle” and draw a design or picture on their paper. Directions: Make a specified number of dots (six, ten, whatever) on a piece of paper. Exchange papers with a friend. Connect the dots. What does it look like? 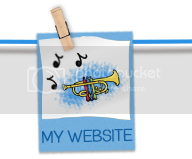 Add details to create an object or design. Directions: Have the children close their eyes and make a design on their paper with a black crayon. When they open their eyes, ask them to create something out of their design. 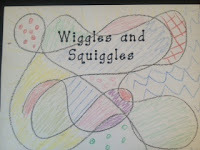 Adaptations: Have children exchange papers with wiggles and squiggles with a friend. Directions: Have children take a sheet of paper and fold it several times. Next, open it and trace over the creases on the paper with a black crayon. Finally, fill in each section with a different color, design, or pattern. Someone just sent me an email asking for some ideas to help children with self-concept. Helping children identify feelings and learn to express their emotions in positive ways is a 21st Century Skill and a key to emotional development. *Brainstorm what causes different emotions and appropriate responses. What makes you happy? What can you do when you’re happy? What makes you stressed? What can you do when you’re stressed? *As you read books to the class, encourage students to describe how characters are feeling. Have they ever felt like that? *Let children pantomime different feelings as friends try and guess what they are. *Puppets can often help children express feelings and work out problems. MY, OH, MY OH! IDEAS FROM OHIO! Make the love sign with your hand. Your thumb is the capital. Your pointer finger asks if it makes sense. The little finger is a reminder for the punctuation mark at the end. Check to make sure you LOVE your sentence. You need all three fingers to love it! (Child’s Name) did a good job! Good job! To your chair, to your chair. Show me that you’re ready. *Children try to be in their chair by the end of the song. You can change it to tiptoe, walk backwards, giant hops, etc. You can also change the chair to their “square” or another space. When the teacher has their attention she says, “THAW” and the kids whisper, “Like water,” as they move and swirl. Use a positive behavior traffic light. Students start on the green light. Positive behavior is acknowledged by moving up to the yellow light and then to the red light. 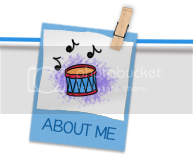 When a student gets to the red light they choose a cheer from the bucket. Everyone says, “We are going to stop and signal your success!” Then everyone does a cheer for them because we love showing off positive behavior! Parent helpers work with students on word lists. When a student passes a word list they get to press the Staples “That Was Easy” button. The kids are excited to press the button and this allows the teacher to multi-task by being able to keep on teaching while being aware what the child did. 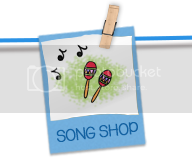 Use the “Pizza Hut” song by taking pictures of restaurants in your community and displaying them on an interactive white board. Add other important places in your community, such as the library, park, school, etc. EARTH WEEK IS A COMING! PUT THE BABY TO BED!